Rajkummar Rao and Shraddha Kapoor have kicked off the promotions of their upcoming flick Stree. The actors were snapped at a radio studio in Mumbai on August 8, 2018. The makers recently launched the official trailer of the film and the audience cannot wait to catch the film which will be releasing on August 31, 2018. 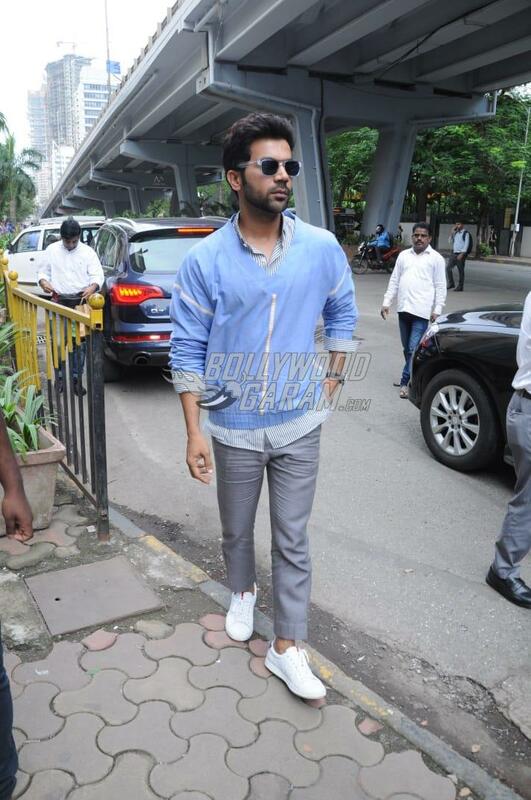 Shraddha for the interviews was seen in a shirt with straight pants with a bikini blouse while Rajkummar was seen in a light blue t-shirt and grey pants. The on-screen couple looked great together and this will be the first time the audience will get to see Shraddha and Rajkummar share the screen space. The film Stree also stars Aparshakti Khurrana, Pankaj Tripathi and others playing important roles. Stree is directed by Amar Kaushik and produced by Dinesh Vijan and Raj & DK. The horror comedy flick will be released under the banner of Maddock Films. The makers had released the trailer on July 26, 2018 and will see Shraddha playing the lead of Stree while Rajkummar will be seen as Vicky.